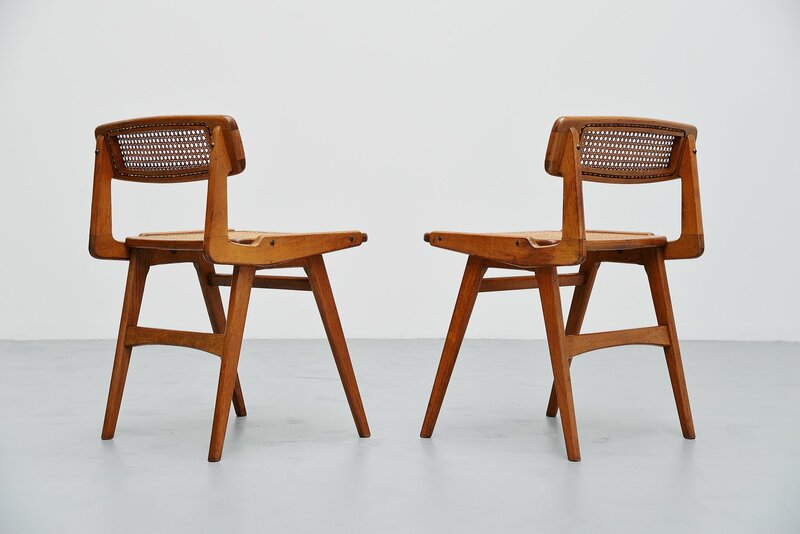 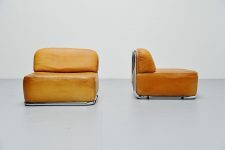 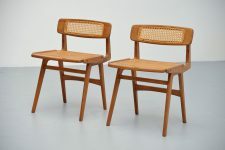 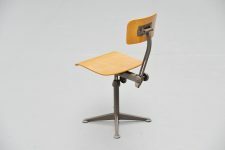 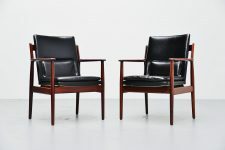 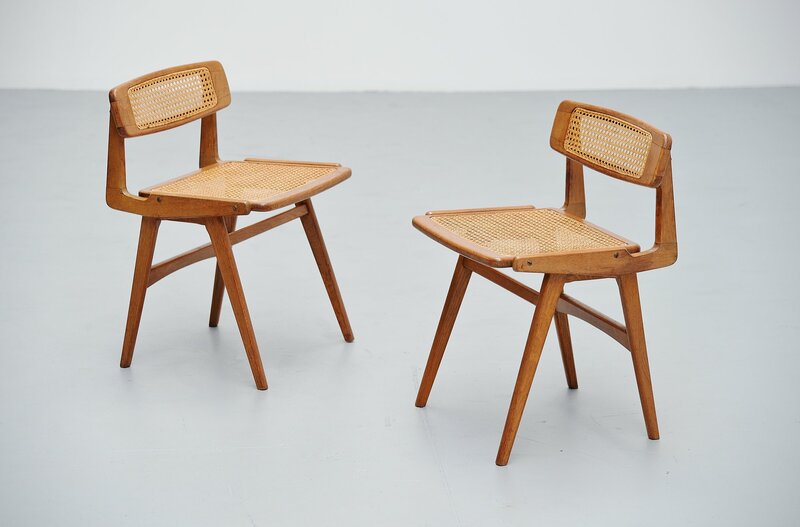 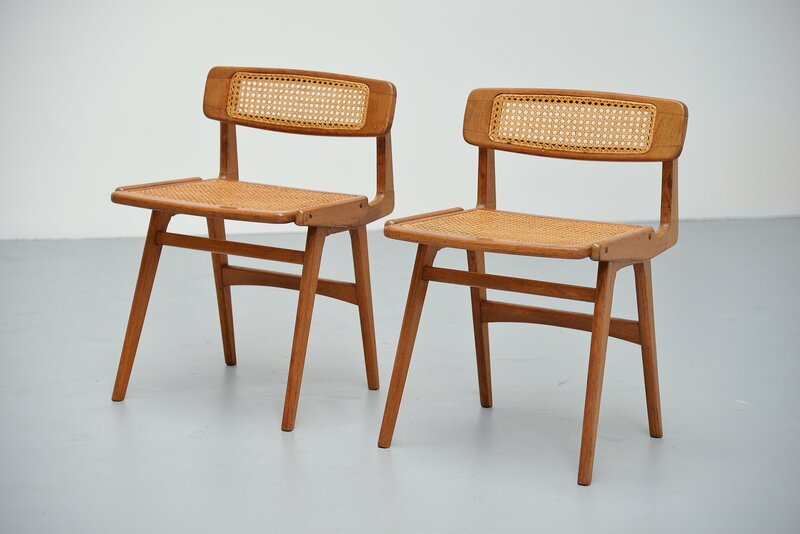 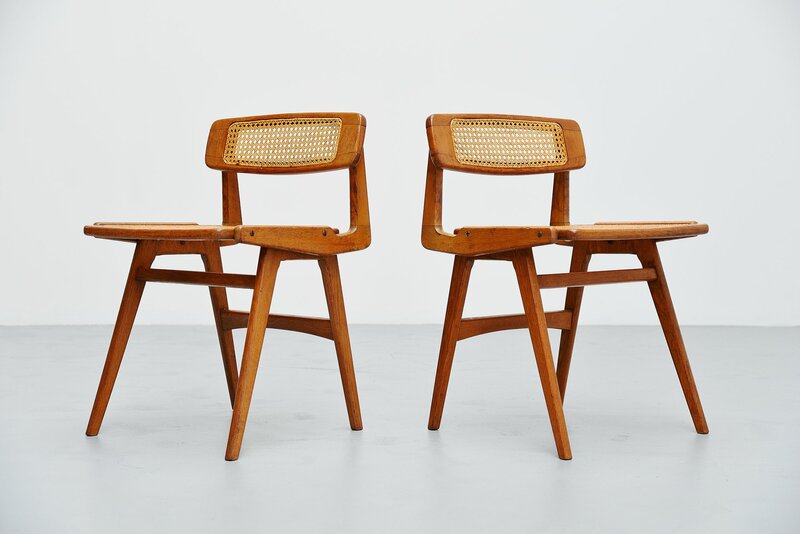 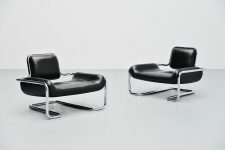 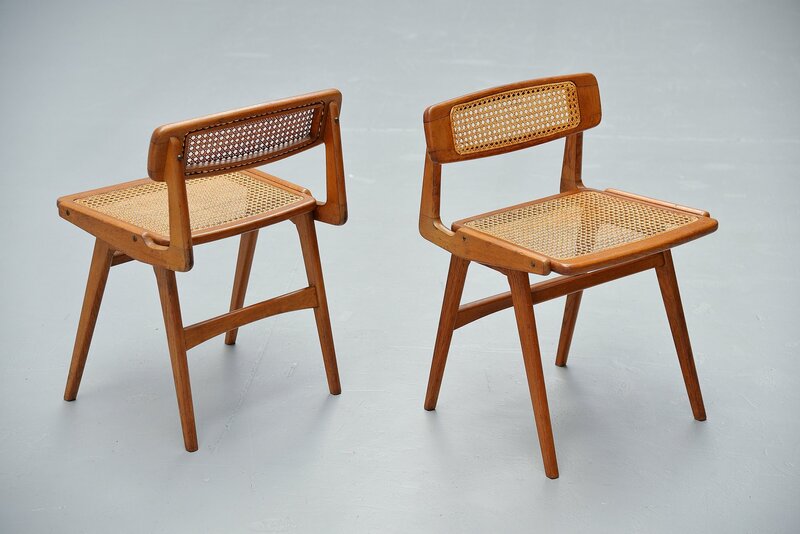 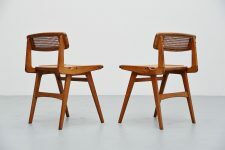 Pair of forme libre side chairs designed and manufactured by Roger Landault, France 1952. 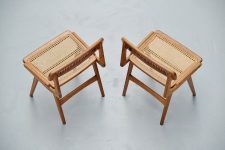 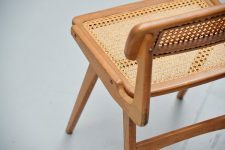 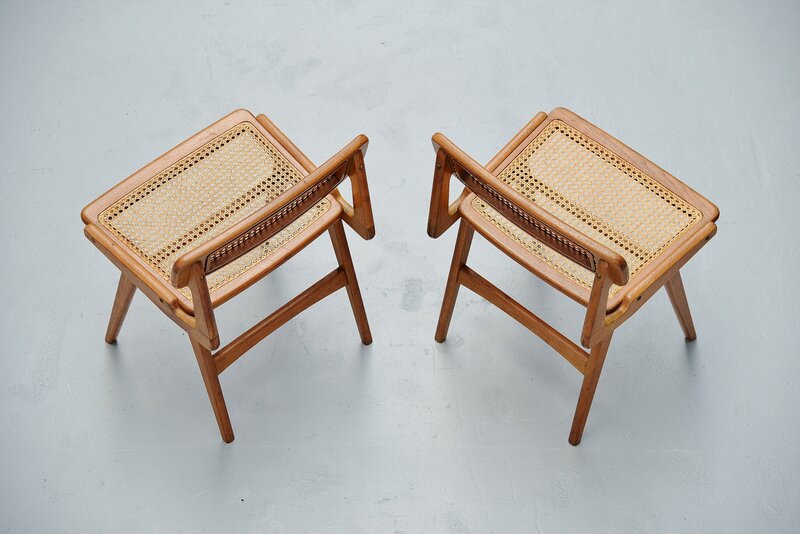 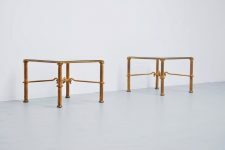 These chairs are made of solid oak and have a cane woven seat and back. 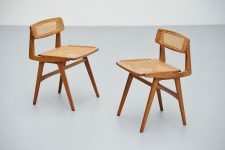 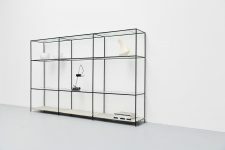 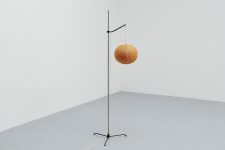 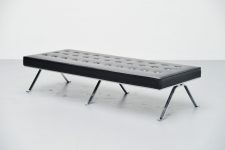 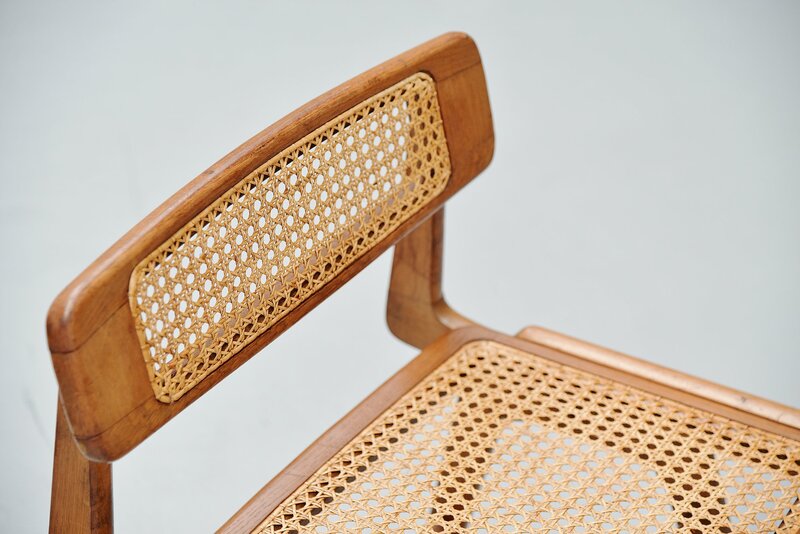 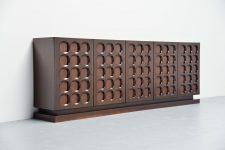 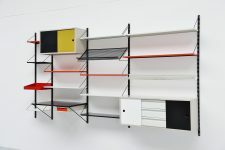 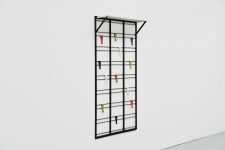 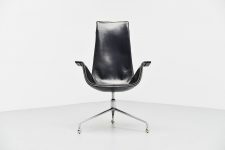 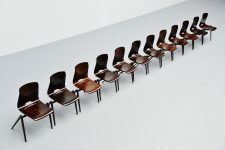 The chairs are close to several designs by Charlotte Perriand and Pierre Chapo. 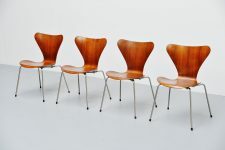 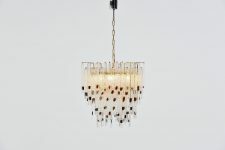 They are in very good original condition with nice patina to the oak wood, but no damages. 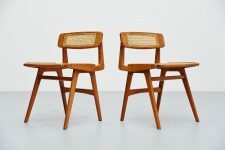 Very nice shaped small side chair, hard to find piece of French design.